During the nineteenth century the exotic animal trade emerged as an important part of empire building. Animal capture represented the conquest of distant and exotic lands and the display of exotic specimens, in the emerging zoological collections of Europe, acted as a demonstration of imperial might. As a result, Victorian society experienced growing familiarity with exotic creatures from across the globe. People were drawn to the dockside, to watch as exotic cargo was unloaded and to the few zoological collections that had begun to admit the inquisitive public. In its early form the exotic animal trade had depended on sailors sourcing and returning with specimens of their own accord. However, as the century progressed specialised traders emerged who used the growing demand for exotic specimens to form their very own, unique businesses. Charles Jamrach was one of these individuals. 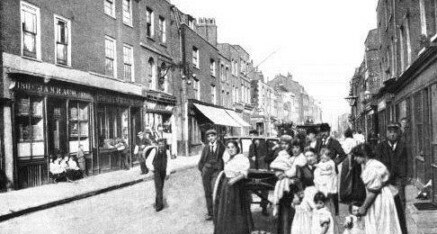 Amidst the crime and debauchery that characterised London’s East End, at 164 Ratcliffe Highway was the business premises of this renowned naturalist and dealer in exotic animals and birds. Fig. 1 Unknown. 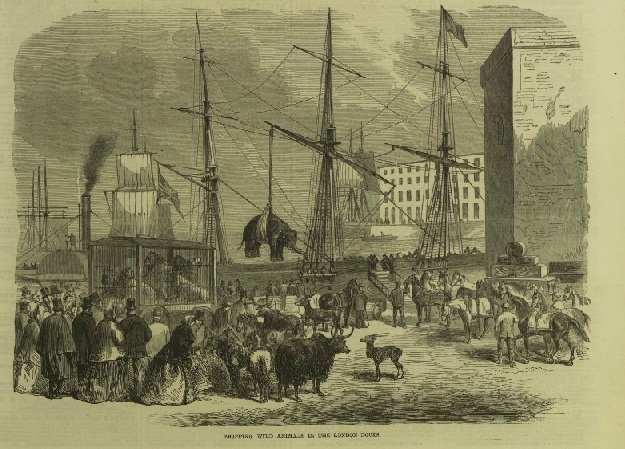 Shipping Wild Animals in the London Docks. Black and white illustration, 20x26cm. In The Illustrated London News (London, England), May 21, 1864. Fig.2. Unknown. Jamrach’s Shop. Date unknown, black and white photograph. http://www.501places.com/2012/11/ratcliffe-highway-jamrachs-menagerie/. 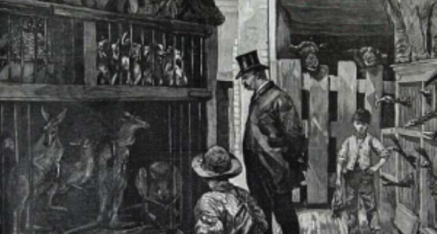 Jamrach’s menagerie was a vibrant business run by a charismatic man who played an important role in the development of the exotic animal trade. It was a family business with Charles inheriting it from his father and later witnessing his own sons follow him into the trade. 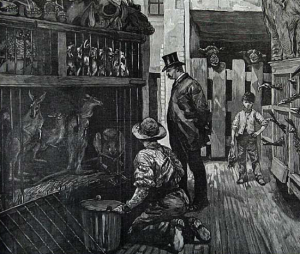 With Charles at the helm, the menagerie seized many of the opportunities available to an exotic animal dealer and established itself as a lucrative business. 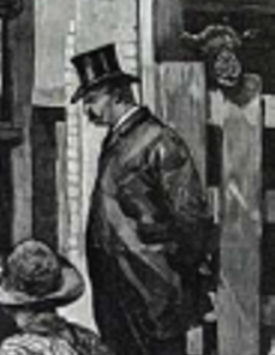 With many a curiosity passing through his doors, it was no surprise that people would often gather outside Jamrach’s shop, in order to catch a glimpse of his latest find. Fig. 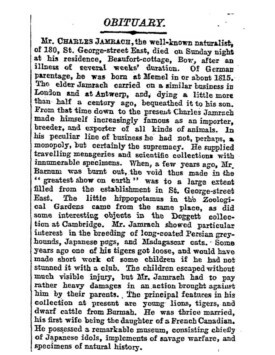 3 Jamrach’s Obituary, The Times, (London, England), September 8, 1891. When Jamrach died on 6 Sept. 1891, the business, and Jamrach’s £7160 0S 8d fortune, were inherited by his son Albert, who continued to run the firm until the outbreak of the First World War, when global conflict made the acquisition of specimens difficult. Thereafter the trade began to decline and by the middle of the twentieth century the exchanging of animals was often done in the interest of the conservation of endangered species. Fig. 4a Click to read a Buckland excerpt. Fig. 4b Click to read a Stoker excerpt. Fig. 4c Click to read a newspaper excerpt. Jamrach was born Johann Christian Carl Jamrach in March 1815 in the German city of Hamburg. The idea behind the business had originated with his father, Johann Gottlieb Jamrach, who, during his time as Chief of the Hamburg River Police had recognised the potentially lucrative nature of animal trading. He went on to set up the first branch of the family business at 19 Spielbudenplatz in the St Paulia area of Hamburg, but it was the London branch that would bring fame to the Jamrach family. The branch was first established by Charles’s older brother Anton, but his untimely death shortly after arrival in London saw Charles step into the role. He went on to develop a global network and extensive client list that saw him dominate the industry and become one of the main suppliers of zoos, menageries, circuses and private collectors across the UK. 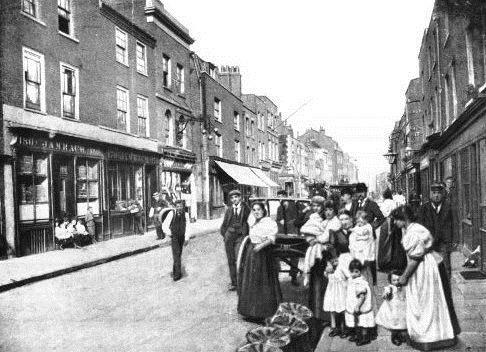 At the height of its operation Jamrach’s menagerie operated from three premises: ‘a bird shop and a museum in St. George Street (formerly known as the Ratcliffe Highway), a menagerie in Bett[s] Street, and a warehouse in Old Gravel Lane’. All of these buildings were always fully stocked with specimens of exotic species and ancient artefacts from across the globe. Fig.5 Unknown. At Jamrach’s, The Dealer in Wild Animals, East London. Black and white illustration. 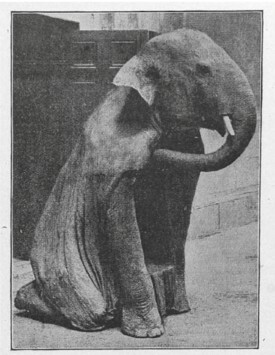 In The Illustrated London News (London, England), February 19, 1887. The young boy pictured in this illustration could easily represent the character Jaffy in Carol Birch’s 2011 novel Jamrach’s Menagerie which has brought Jamrach to the attention of a modern audience. Using real events, Birch has created a piece of historical fiction which has helped to sustain Jamrach’s infamy. Fig.6 Rossetti, Dante Gabriel. 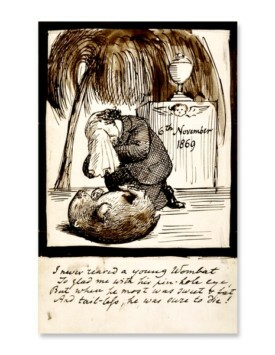 Lamenting the death of his wombat. Pen Drawing, 1869. 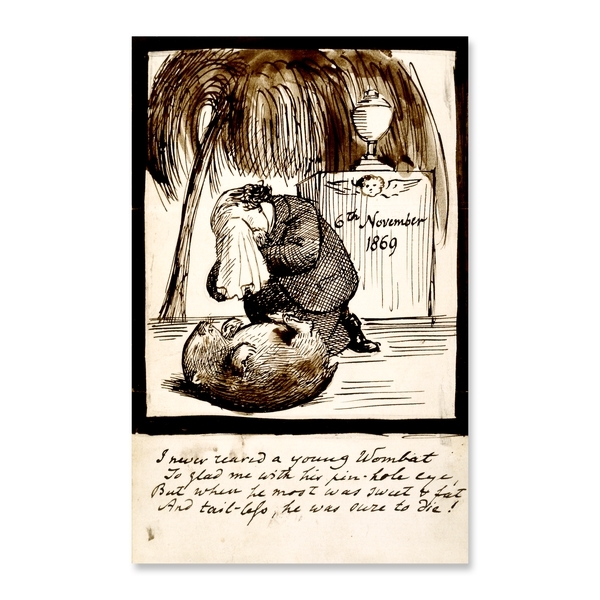 Text reads ‘I never reared a young wombat To glad me with his pin-hole eye, But when he was most sweet and fat and tail-less he was sure to die!’. 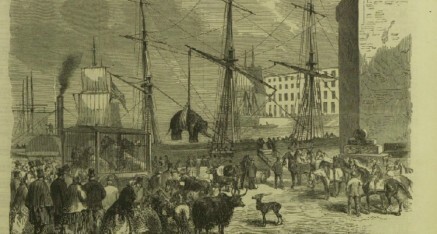 Jamrach’s success depended on the receipt of successful imports and he relied both on his proximity to the docks and on a system of runners who were sent to meet the incoming ships and secure any approaching exotic imports for their employer. The industry no longer hinged on the whim of sailors but began to revolve around the businessmen who orchestrated the trade for both buyers and sellers. Sea Captains were sent with ‘shopping lists’ rather than speculatively bringing back specimens they happened to come across on their travels. The whole operation became a tactical exercise, based on beating the competition to incoming boats and receiving the best and most exotic of the cargo. Jamrach employed agents in all major ports across the UK and Europe in a bid to pre-empt arrivals and beat his competitors, such as Carl Hagenbeck and Charles Rice, to the best deals. 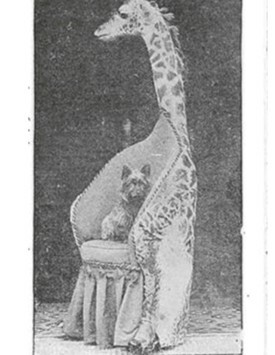 Once Jamrach had acquired his stock he would then attempt to sell it on and much of his success came from selling to private and wealthy individuals who were intrigued by the prospect of owning an exotic pet. 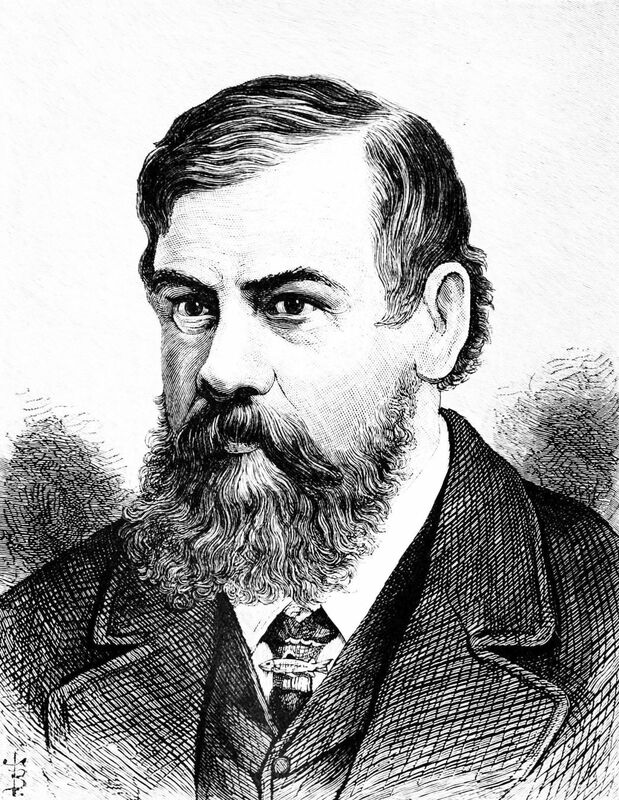 Dante Gabriel Rossetti, founder of the Pre-Raphaelite artistic movement, was one such customer. He famously bought a wombat from Jamrach, to add to the private menagerie he kept at his home in Cheyne Walk. 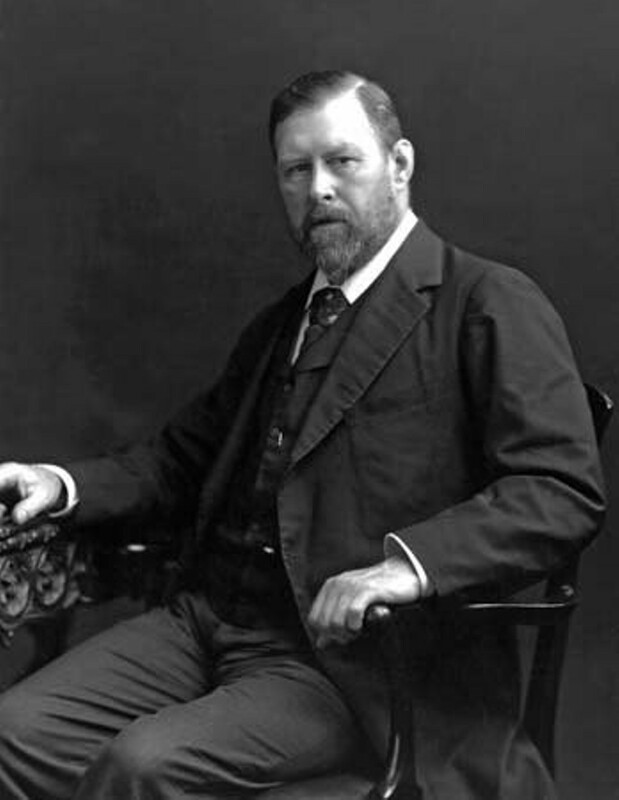 Having grown fond of the creature, he wrote of his grief at its death in 1869. 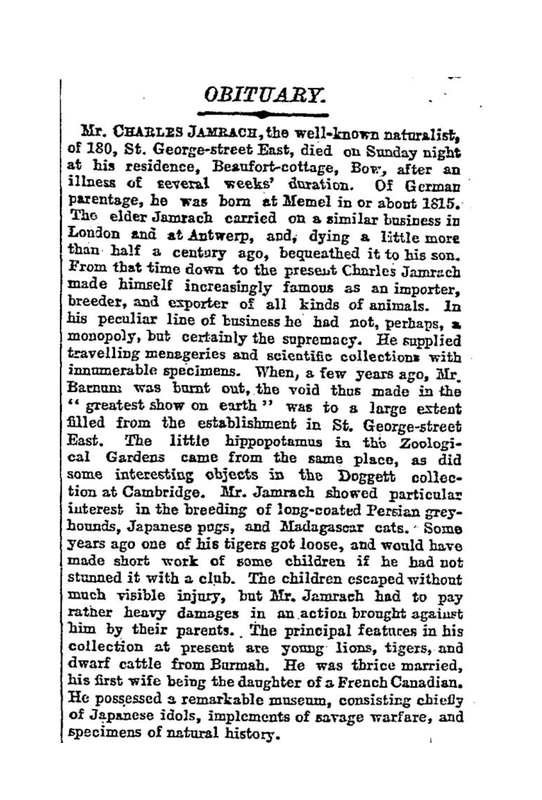 To many, Jamrach’s name became synonymous with the exotic animal trade and his involvement in the business allowed him to make a valuable contribution to the development of natural history and science. Without Jamrach and men like him, specimens would not have been available for the men of science to carry out experiments and studies which facilitated the scientific advances that occurred during this period. 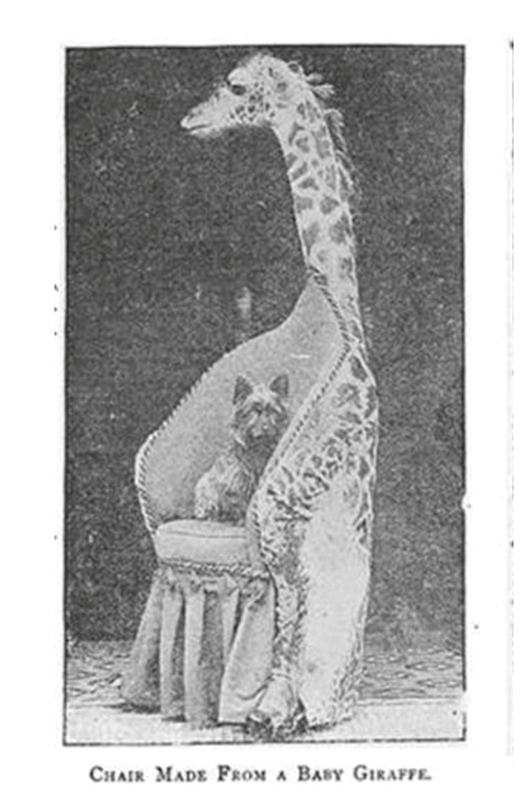 This is not to say, however, that the exotic animal trade should be glorified as a triumph of British imperialism. During the nineteenth century, trading in and owning exotic animals was a cultural phenomenon that was very much of its time and it should be remembered that concurrent to this, in the margins of society, were a number of individuals who shared growing concerns over animal welfare. 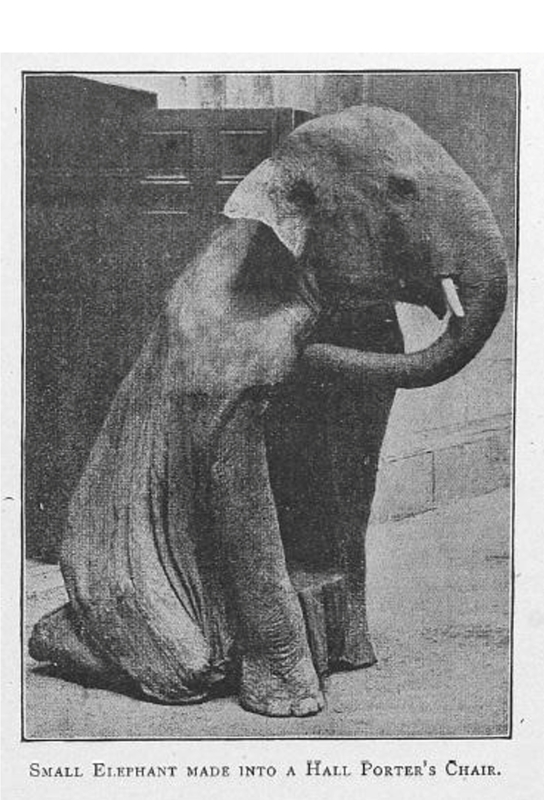 Jamrach has been chosen as the topic for discussion here in order to explore the mechanisms of the exotic animal trade in London, but an examination of the emerging animal rights perspective would have been an equally valid approach to understand the place of animals in nineteenth century society. Fig. 7 Unknown. 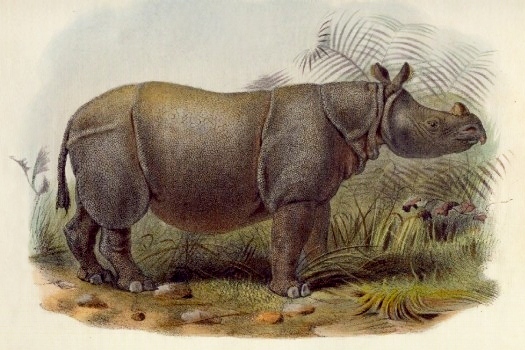 Female Javan Rhino imported by Charles’s son, William Jamrach, from the Sunderbunds (or Sundarbans),India in 1877. Lived for less than 6 months. Image Courtesy: Rhino Resource Center. 1877. As well as assisting advances in science and natural history, the exotic animal trade also possessed an important international component that led to the trade gaining political significance. The capture and display of exotic animals was symbolic of imperial triumph and the trade itself became a form of informal empire that allowed Britain and other nations to display their power over the natural world. Civil servants and government employees within the Empire made it their mission to export to Britain unusual specimens from the far-flung corners of the globe, justified as acts of imperial patriotism. These donations provided zoos and museums with new and exciting specimens, but were never enough to rival the likes of Jamrach and his competitors. Fig. 8 Uran-utan arrives at the London Zoo as a gift from Lieutenant Colonel Butterworth. The Illustrated London News, June 28, 1851. Jamrach’s cultural legacy is not isolated to his direct involvement with the acquisition of animals for the likes of the Natural History Museum and the Zoological Society of London, for he also influenced artistic mediums. The exotic animal trade provided Victorian artists with real-life specimens on which they could base their work, and owing to his well-established links with zoological collections, there is a strong likelihood that Jamrach supplied some of the creatures painted by artists such as Edwin Landseer  and Edward Lear . Fig. 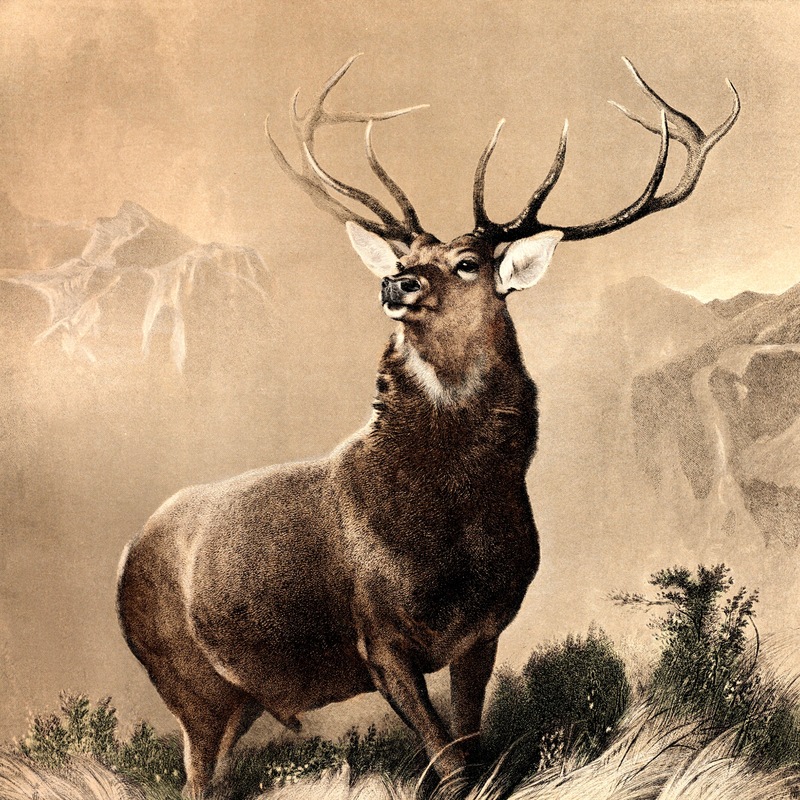 9a Monarch of the Glen (1851). Sir Edwin Landseer. Steel engraving; courtesy of Animal Image Archives. Fig. 9b Edward Lear. Varied Lorikeet (Psitteuteles versilcolor). Colour Illustration. C.1832. There is also evidence to indicate Jamrach’s involvement in the emerging trend that saw animals incorporated into the manufacturing of furniture. The Victorian period was renowned for importing animals and using parts of them in the design of everyday objects, for example, ivory. This practice evolved and it became fashionable for the middle and upper classes to turn their hunting trophies and former pets into everyday items of furniture. 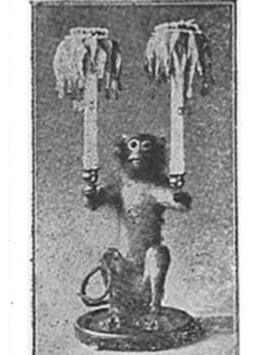 Items such as monkey lamps and elephant hall porter’s chairs began to adorn Victorian homes. Fig. 10a Unknown. A Curious and Interesting “Fad” in Furniture. Black and white photograph. 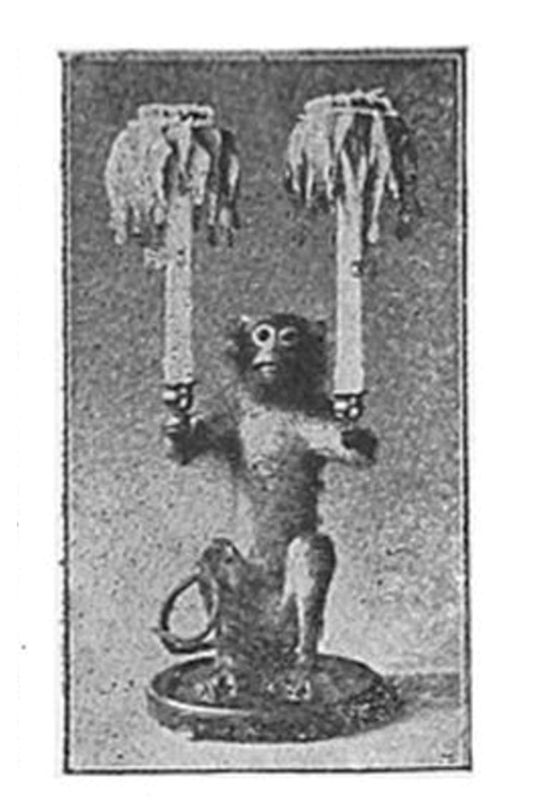 In The Decorator and Furnisher 29:4, January, 1897. Fig. 10b Unknown. A Curious and Interesting “Fad” in Furniture. Black and white photograph. In The Decorator and Furnisher 29:2, November, 1896. Fig. 10c Unknown. A Curious and Interesting “Fad” in Furniture. Another black and white photograph. In The Decorator and Furnisher 29:2, November, 1896. From the 1860s, high demand for this kind of furniture called for a new supply line and gradually animals were secured solely for the purpose of being made into objects of furniture. In some cases animals were even kept alive and selected by a customer based on their specific physical characteristics. Jamrach seized this valuable opportunity to add another dimension to his business, one that provided a crucial market for both the living and dead specimens he imported. Fig.11 Unknown. To the Rescue. Black and white illustration. In Boy’s Own Paper 1:3, February 1, 1879. Jamrach’s menagerie was also implicated in wider political affairs. 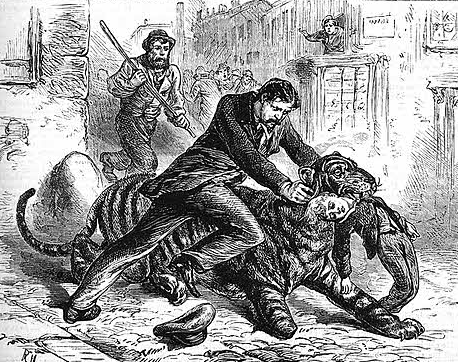 On 26 October 1857 a tiger escaped the confines of its cage and made its way onto the Ratcliffe Highway where it proceeded to attack a young boy. Jamrach led the pursuit of the big cat, eventually subduing the animal and ensuring the boy’s safe release. Significantly, this event coincided with the Indian Mutiny and became a media sensation that led to a number of images entering wide circulation (Fig. 11, for example). 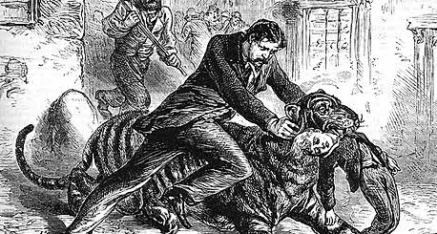 In the eyes of Victorian society, the tiger neither feared man, nor showed him respect and was therefore seen to be a threat to man’s superiority. 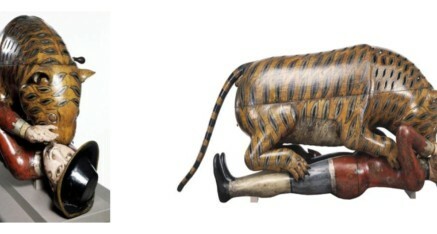 These feelings of suspicion had escalated earlier in the century, when the artefact known as ‘Tipu’s Tiger’ was put on display at the East India Company Museum in 1808. The mechanical toy, with sound effects that mimic a tiger mauling an Englishman, created an image that struck horror in the Victorian imagination. Jamrach’s tiger, a creature traditionally associated with India, became a similar, though very real, symbol of fear and suspicion. Images like To The Rescue (Fig. 11) challenged these preconceptions about the tiger; providing the reassurance that man could successfully subdue the tiger and remove the threat, for Jamrach had shown it was possible. These images therefore capture topical news stories and at the same time make subtle political statements about corresponding imperial events. On 26 October 1857, Jamrach did not just save the life of a young boy, but raised important questions about the nature of British imperialism, especially in India. 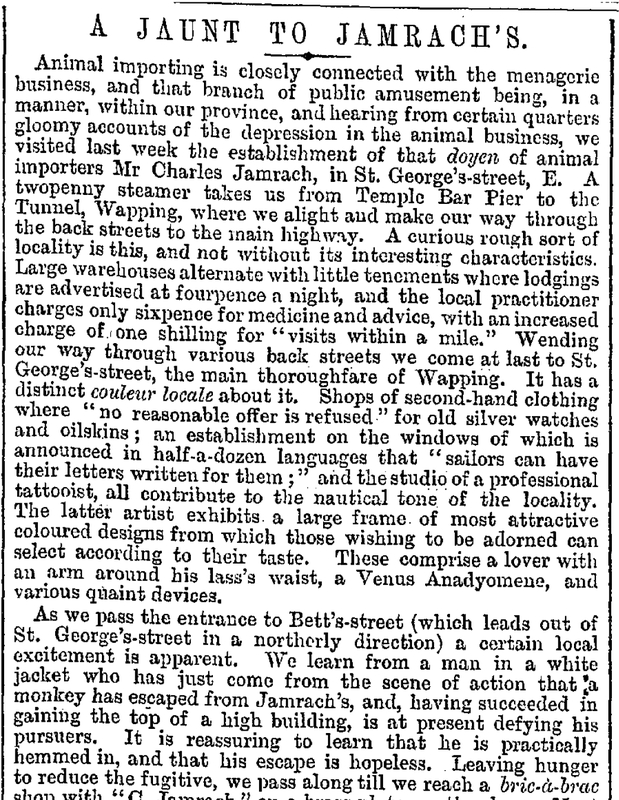 “A Jaunt to Jamrach’s,” The Era (London, England), September 13, 1884. Good Words Commissioner, “Jamrach’s,” in Good Words for 1879, ed. Donald Macleod (London: Isbister and Company Ltd., 1879), 165. Monarch of the Glen by animal portraitist Sir Edwin Landseer (1802 – 1873) remains one of the most famous animal paintings to this day. At first look, it appears “to be a sport animal. But in this instance, the majestic stag was not depicted as a victim, but rather the master of its domain. It was the unspoken embodiment of everyman’s dream for freedom and self-determination in a world defined by class and entitlement…. To this day, this iconic image of the “stag on the mount” is used in logos for everything from insurance (The Hartford) to cigarettes (Stag) to liquor (Glenfiddich).” Source: The Animalier Extraordinaire: The Life and Works of Sir Edwin Landseer, an Animal History Museum traveling exhibit curated by author and historian Mary Thurston, Animal Image Archives. Edward Lear [1812-1888] is best known for his nonsensical limmericks and other verse. However, he was also an accomplished and – mostly self-taught – painter. 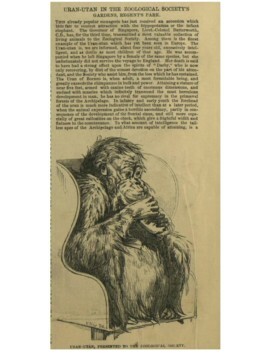 By age 17, he was a natural history illustrator for the London Zoo. 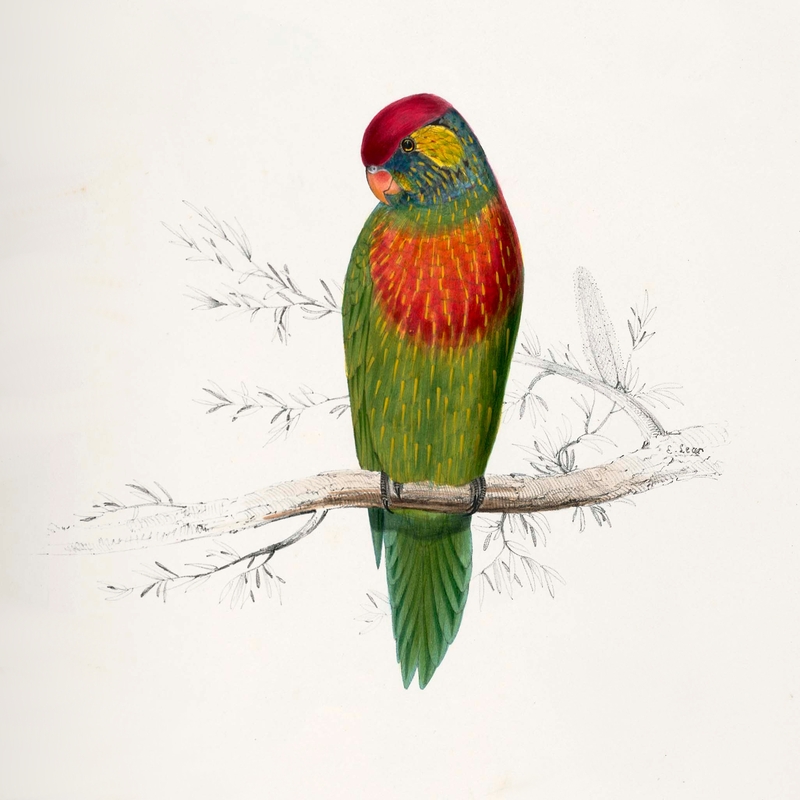 Two years later, he published a beautiful volume of exceptionally detailed illustrations of the birds he loved most: “Illustrations of the Family of Psittacidae, or Parrots” (1832). Sources: http://news.harvard.edu/gazette/story/2012/06/edward-lears-natural-history/ and http://www.tate.org.uk/art/artists/edward-lear-337. Elle Larsson is currently a postgraduate student at Royal Holloway, University of London on the Public History MA. 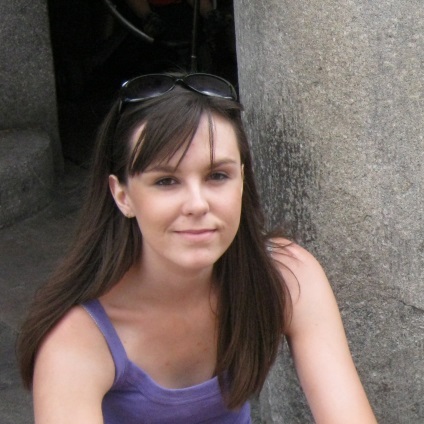 Her research interests lie broadly in nineteenth and twentieth century British History, with particular regard for social and cultural issues. Recent research has focused upon the expansion of the exotic animal trade in the nineteenth century, looking specifically at the role of businessman and naturalist Charles Jamrach. Despite being well known to his contemporaries, Jamrach and his business have been the subject of little historical research. The aim of her dissertation was therefore to correct this omission, highlighting both his involvement in the trade and influence upon popular culture.